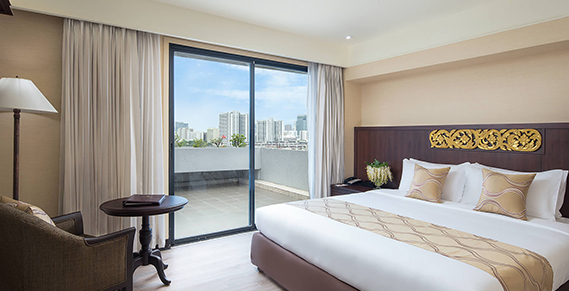 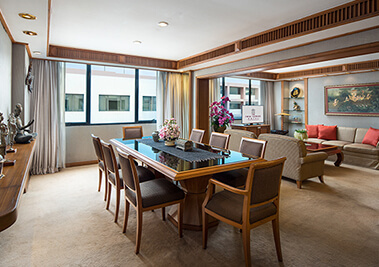 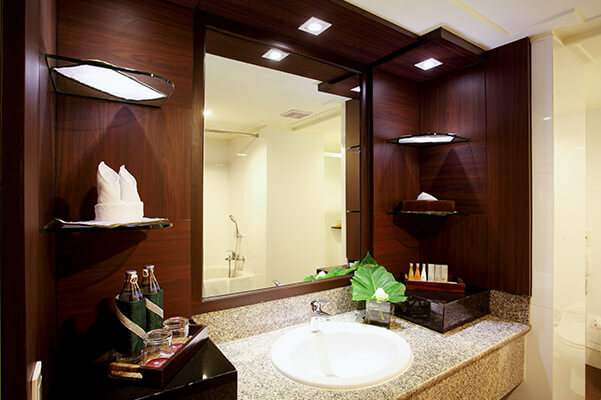 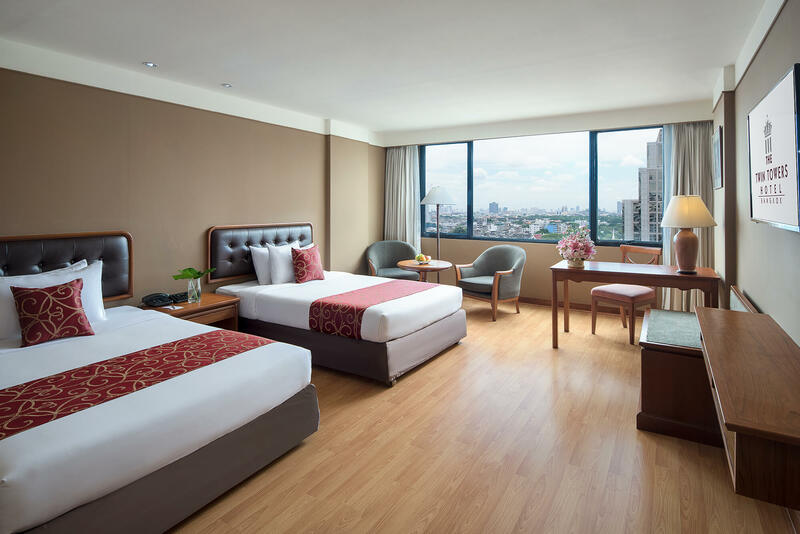 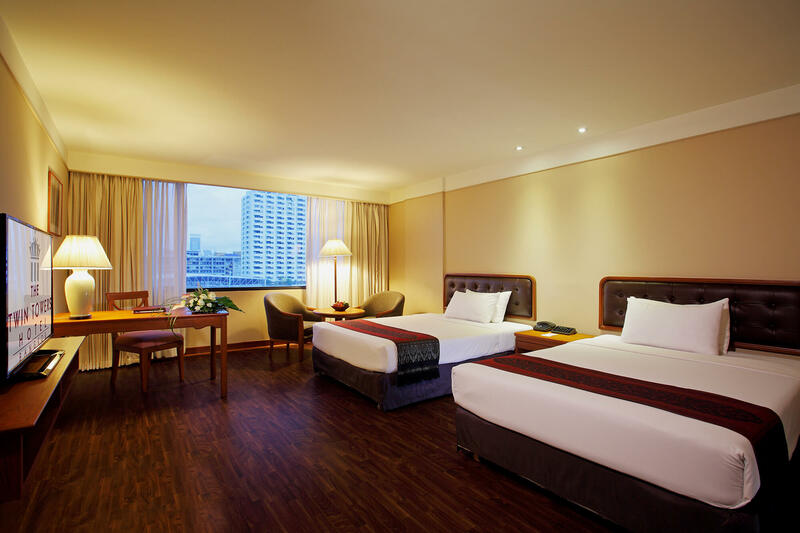 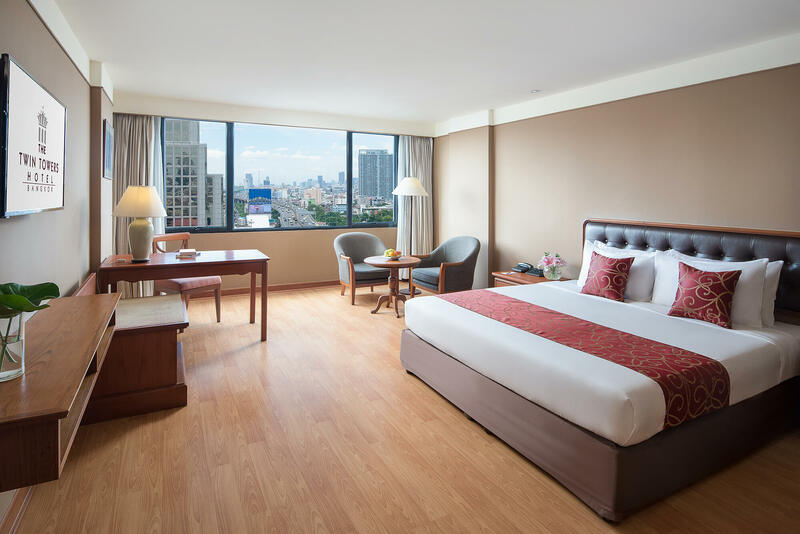 Haven't you visited yet the superior rooms of The Twin Towers Hotel Bangkok? 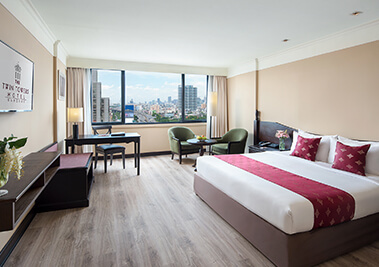 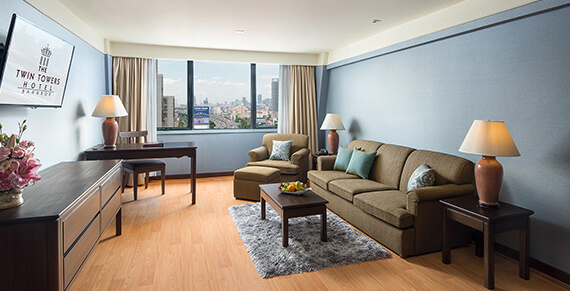 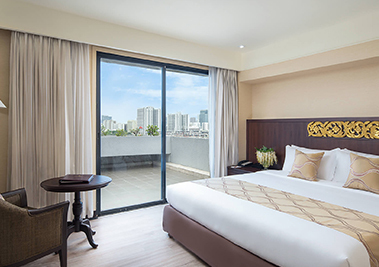 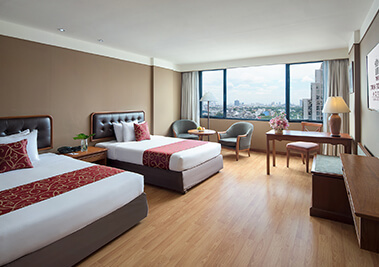 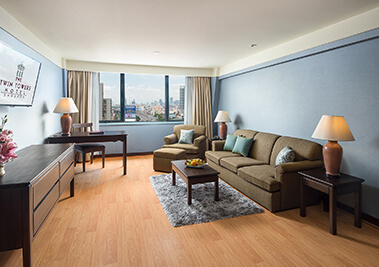 Enjoy the experience of staying in a fully-equipped accommodation in the centre of Bangkok at the cheapest price online. 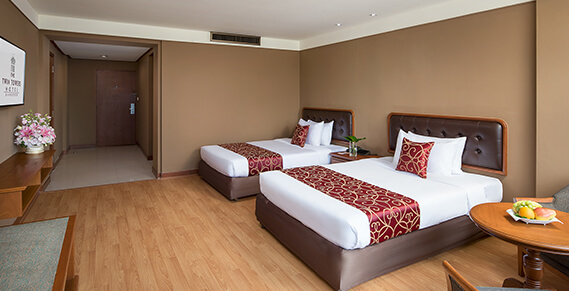 All these rooms have a well-cared and modern design, a functional style and services adapted to all your needs. 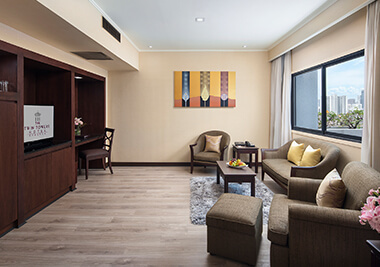 Their 36 square metres of space feature a large bedroom with recently refurbished modern furniture, TV, telephone, radio, alarm clock, high speed Wi-Fi internet access, minibar, private bathroom and a warm decoration. 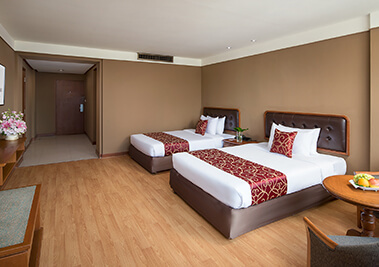 With a maximum capacity for 1 or 2 people, the superior rooms offer you the most comfortable and value for money during your stay..